Janet Holmes à Court is a true renaissance woman. 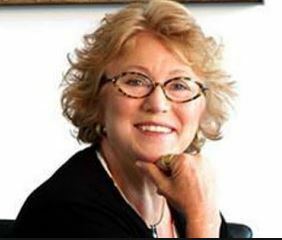 She has a background in science teaching, a career as an extremely successful business woman and an interest in art which spans music (Chairman of WASO board), fine art (Holmes a Court collection), architecture (Ambassador to Venice Biennale) and theatre (founding patron of Black Swan Theatre). She is an advocate in the community for health, conservation and education and is also a devoted grandmother. What music can bring you to tears? Anything! Beethoven can bring me to tears. His works always remind me of my mother who thought he was the greatest! One of my earliest memories was seeing my mother weeping into the kitchen sink as she listened to the final movements of a Beethoven piano concerto. I realised then the power of music to move. Richard Tognetti playing The Lark Ascending by Benjamin Britten certainly can bring me to tears. What music gets your heart racing? Hearing the orchestra tuning up. This is a very exciting time for me. Hearing and seeing 84 or 100 musicians – or however many are needed for tonight’s concert – settling down and preparing to perform for us, the audience. I love the excitement of this – then the arrival of the Conductor to take charge. Let the music begin! What do you sing along to? Me singing along would not be pleasant for anyone. I’m more of a finger tapper. Having studied piano for many years, I tend to “arrange” the music I am listening to for piano, and play silently on my knee. I find it extremely difficult to sit still in concerts. Your highly successful business Heytesbury (now owned and run by your son, Paul) has had interests in horse breeding cattle, wine production and engineering contracting. For decades you were known as the richest woman in Australia. But perhaps your greatest legacy is your involvement with the arts world. Where did your love of arts come from? The “richest woman” tag was always a ridiculous statement and was never made by me. Because Robert died without a will, his estate (which included masses of debt) was divided in intestate proportions i.e. ⅓ to me ⅔ to my 4 children. I was never the richest woman in Australia! My love for the arts was fostered by my parents. This month (May) the Holmes à Court Gallery at Vasse Felix is opening a new exhibition titled Rachel Coad – RETROspective. What motivated you to open the gallery initially? And what is the appeal of Rachel Coad’s work to inspire this new exhibition and residency? Almost ever since Robert and I started to collect art, I dreamt of having a gallery. We always considered the collection to be private/ public; that it was something to be shared. A public gallery such as LWAG and AGWA cannot possibly show all its works. Neither can it show its works in spaces that are not perfectly climate controlled. Their duty is to preserve, as well as educate, stimulate, amuse and display. We are never careless with our works of art, but we are able to share them with others in spaces NOT environmentally perfect for the purpose. This enables people in many more places to enjoy the works. For example years ago we had an exhibition of works in the old Masonic Hall in Dalwallinu. There are now works on loan to King Edward Memorial Hospital, Government House in both Perth and Hobart, Perth Modern School, Kings Park, John Holland Offices, the Art Gallery of Western Australia and so on. These are all places where a broad audience can see and appreciate them. In 2000 I opened a gallery in East Perth. For ten years we held exhibitions and hosted Artist in Residence programmes, Day of Ideas discussions, artist’s lunches, seminars, etc. In 2010 I enjoyed hosting six 300thBirthday parties for a Cappa violin I own which was made in 1710. In the East Perth gallery we exhibited works from the Holmes à Court Collection and works by artists from elsewhere who were NOT represented by galleries here in WA. The gallery in East Perth was complemented by the gallery at Vasse Felix. 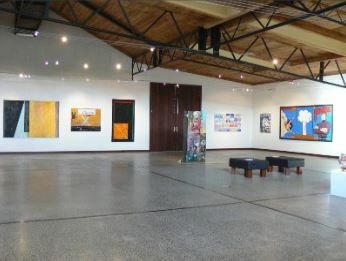 When the East Perth building was sold the gallery at the winery became the sole space for exhibiting and running residencies. It also happens to have pretty wonderful acoustics, so serves as an excellent venue for musical performances for example the Australian Chamber Orchestra Festival in December each year. Many artists whose works I admire have been Artist in Residence during the time I have operated galleries: Brian McKay, Stuart Elliot, Helen Britton, Leslie Meaney, John Parkes, Clyde McGill, Ben Pushman, Thomas Hoareau. Next on the agenda is Rachel Coad. I have become a great fan of Rachel and her work ever since seeing and purchasing a painting at Perth Galleries several years ago. She and her partner Chris have become great friends. Rachel’s portraits are exceptional descriptions of their subjects. One feels one is looking into the souls of the people she paints – capturing their inner selves. I love her technique, her palette, her empathy with the subjects. Apart from the Harrier JumpJet her subjects are ordinary Australians, many of whom are deceased. ABC interviews Janet about her interest in Aboriginal art. Also this month in Venice you will be involved in la Biennale di Venezia as part of the International Architecture Exhibition. What will be your participation here? I have the great privilege of being the Commissioner for Australia for the Venice Architecture Biennale. This will be my 4thBiennale. It is a wonderful role. I sometimes joke that I am Commissioner for parties and thankyous, but that is to diminish the role. The Commissioner is a member of the committee which sifts through the many applications and chooses the Creative Director of the Australian Exhibition and then oversees the development of the exhibit. As there is no funding from Australia Council for the Architecture Biennale – they don’t consider Architecture to be art – the funds for Australia to be represented in Venice must be raised by the Australian Institute of Architects. The Commissioner is intimately involved in this fundraising. Funds come from various governments (sadly NOT that of WA), philanthropists, sponsors and the profession. In Venice itself, the “thankyous” and parties and opening speeches begin!! You are a member of the boards of nine different organisations including chairman of two. (Centenary Trust for Women, Australian Major Performing Arts Group, Australian National Academy of Music, Australian Urban Design Research Centre, Chamber of Arts and Culture WA, New York Philharmonic International Advisory Board, Rio Tinto Community Investment Fund, Chairman – Australian Children’s Television Foundation, Chairman – West Australian Symphony Orchestra.) Where did you learn the leadership (diplomatic, political, psychology!) skills to work with diverse groups of people toward a common goal? Possibly my three years as a high school science teacher helped. What part of your life are you most proud of? I don’t sit around thinking about what I’m proud of – but I am delighted and relieved that all four of my children are happily married, are not on drugs, and haven’t killed themselves or anyone else in a car accident. And that they are all useful contributing members of the communities in which they live. So much of your time and money goes into championing the arts. Why do you believe the world of the arts is so important? This is the worst question to ask me. To me, the Arts are as important as breathing – essential for life and a big part of it. I once asked my great, and sadly now deceased, friend Brian McKay what Art was. “Something that moves you in a way you can’t explain,” was his reply. A work of art which captures our attention may be extraordinarily complex – as is the response it evokes. There are so many possibilities that we might decide that the mystery is after all unfathomable and had best be left alone. Or we may ask – what is it in us as humans that leads us so insistently to seek out encounters with paintings, plays, poems, novels, works of sculpture, dance, music? What is it in them that so engages us, brings us so much satisfaction, and what is the nature of our satisfaction? Research shows us that people in hospital rooms with a window onto a view have faster rates of recovery. If there is no window, a painting can have the same effect. Children who are exposed to classical music in utero and in their childhood develop better and faster neuron connections than those who are not. The Venezuelan El Sistema project (a version of which WASO is operating in two schools in the Kwinana region) which exposes children to orchestral music performance, has had a remarkable effect on reducing crime and antisocial behaviour throughout Venezuela. There has been some crippling government funding cuts recently to the Australia Council resulting in the demise of the ABC Symphony Australia Young Performers, an award you have supported with your patronage for many years. What are your thoughts on this? Naturally I am very disappointed that this has been discontinued. What is your perspective on the health of the arts scene currently in Australia and WA in particular? There is music in Perth 365 days of the year. Think of it. We have the WASO, ACO, UWA, Musica Viva, Fremantle Chamber Orchestra, WAAPA, Ellingtons, Fremantle Arts Centre, St George’s Cathedral, etc, etc. Sadly, the theatres in Perth are dark a great deal of the time. The State Theatre Centre was built by the Government at a cost of more than $100m, but the theatre companies are not funded sufficiently to occupy the spaces for much of the year. You have a soft spot for the WA Symphony Orchestra, where you have been chair of the board since 1998 – when did you first discover our state orchestra? My parents took me to concerts of WASO from age about 8 or 9. I remember hearing Sir John Barbirolli conduct, the violinist David Oistrakh,pianist Claudio Arrau, etc. I am privileged to have started my association when I was so young. Janet shares her memories of WASO on YouTube. I know you have four children – are there any grandchildren? Four children and seventeen grandchildren. Fortunately my youngest son, Paul and his wife Zara have chosen to live and bring up their 5 children in Perth. That is a blessing for which I am truly grateful. What is your favourite place in Perth? Wherever I happen to be is my favourite. If I’m home, it’s here. If I’m at a concert – it’s Perth Concert Hall. If I’m at the Heytesbury Stud – it’s there. If in Kings Park – it’s there. If in Boranup Forest – it’s there. I have a passion for Darlington, the Sunken Garden in UWA and Gnaraloo on the Ningaloo Reef. Do you have a soft spot for anything else in life or is it all about the arts? I have a soft spot or many things – family and friends, music, theatre, visual arts, architecture, the environment, the bush, construction, wildflowers, the night sky in the southern hemisphere, colours of the ocean, good food and wine. Thank you Janet Holmes à Court for making the time for Celebrity Soft Spot. For more information go to the Holmes a Court Vasse Felix gallery website or to Heytesbury. Or keep an eye out for Janet at a concert or theatre show in Perth!